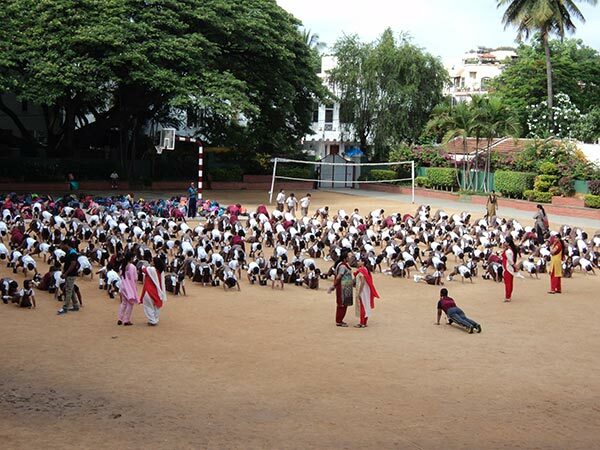 International Yoga Day, celebrated worldwide on Tuesday, 21 June 2016, was brought in with vigour and enthusiasm at National Public school, Indiranagar. A team from 1000 YOGA, along with our in house yoga instructor, helped the students of Class 3 to 5 and all the teachers to step out of their comfort zone by doing some stretches and coordinated breathing to aid in physical and mental well-being. The hour long sessions were well planned and inspirational in prompting many to take on yoga or some form of exercise on a regular basis.